Views: 356,031 | 2 Global Users. MegaGen is a password generator for DOS. 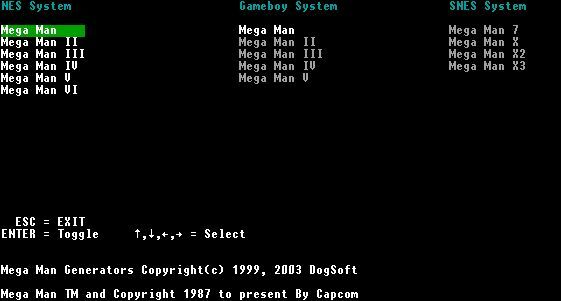 Right now it supports Megaman 2,3,4,5,6 for NES and Megaman 1,2,3 for GameBoy.